You will see that the system is easy to use and allows many convenient options, with or without logging in! Request a refill by inputting your last name and prescription number, along with any special instructions and a pick-up method. Log in as a user to gain access to multiple features only available to patients with an account. HOW DO I REQUEST A REFILL? If you have a prescription number available, you can simply enter the desired refill number on the main screen. Specify your pick-up method and even type a note if you like. Press "Order Refills" and your request will be sent to the pharmacy. The website will let you know immediately if the prescriptions were successfully sent to the pharmacy. 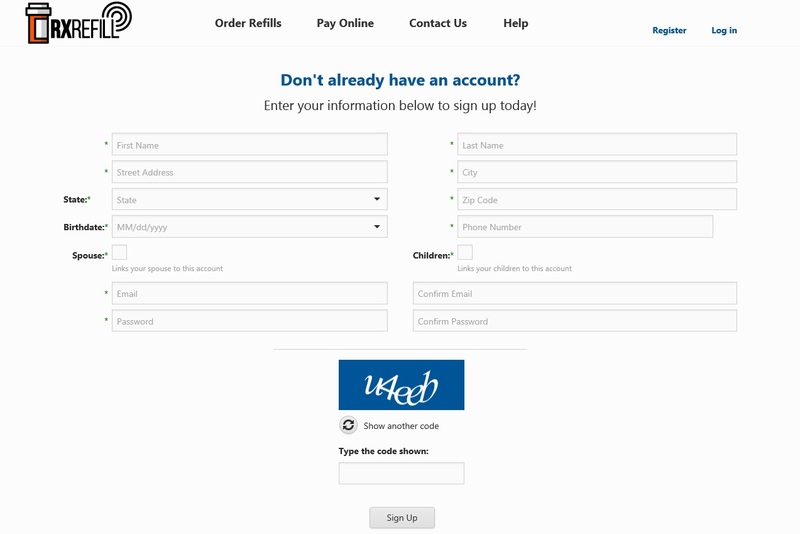 If you do not see this message, check and re-enter your prescription number and press "Order Refills." 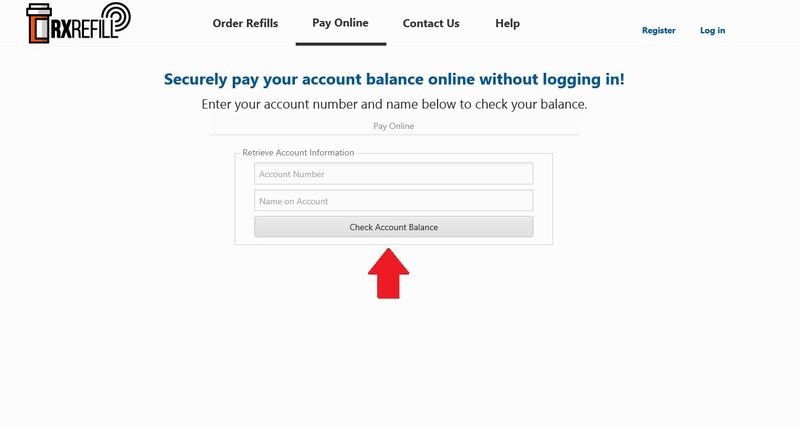 You can pay your account without logging in if you know your account number. Select "Pay Online" from the top menu. Enter your name and account number. You must be logged in to access these features. See the help page "Access to Features as a Logged In User" for more information on how to log in and utilize these features. HOW DO I SIGN UP FOR WEB ACCESS? You can create an account yourself by going to the online refill website listed above. Accounts created online must be approved by the pharmacy prior to accessing your information. On the website, click the "Register" link at the top-right hand corner of the page. Fill out all fields. If you would like to access a spouse or children from this account, please check the appropriate boxes*. You can immediately log into your web account, however you cannot access prescription profile information or request refills until the account has been activated by the pharmacy. You will be notified via email when your account has been approved and activated. If you prefer, your pharmacy staff can create a web account for you while you are at the pharmacy. Accounts created at the pharmacy are active immediately. Ask a pharmacy employee about signing up. You will need to provide a valid e-mail address. Let the pharmacy know if you would like to access family profiles as well. A temporary password will be sent to your e-mail address. Check your e-mail and click the link. If you do not see the e-mail, please check your spam box. The link will take you to the following webpage. Simply type the temporary password and then choose a new password that you can remember.